Manchester City and Arsenal are among clubs based in Europe keeping tabs on Golden Eaglets attacking midfielder Kelechi Nwakali at the ongoing CAF Under 17 Championship. Just after two games in Group A, the Emmanuel Amuneke Academy product has caught the eye of a number of high profile teams, and it appears The Citizens are in the driving seat for his signature. Manchester City have already opened a line of communication with Kelechi Nwakali’s camp regarding the offer of a preliminary contract. 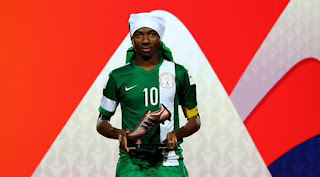 Kelechi Nwakali is skillful, has a good range of passing, and has an eye for a pass, which has drawn comparisons with ex Bolton Wanderers midfielder Austin Okocha, though he is faster than the retired Nigeria international. The Golden Eaglets skipper would welcome the chance to join the Nigerians on the books of Manchester City, including his elder brother Chidiebere Nwakali and Kelechi Iheanacho. Kelechi Nwakali caught the eye with a string of impressive displays at the Under-17 World Cup. Captain Nwakali led Nigeria to the title, scoring three goals and setting up another three on the way to the win. Nwakali, a playmaker, follows Cesc Fabregas and Toni Kroos in winning the golden ball award for the best player in the competition.